When Nicole Caliva reached out about doing a shoot with Brian and me, I could not wait! Her aesthetic and photos are absolutely gorgeous! Anyone in the Denver area should definitely shoot (or even grab coffee!) with Nicole! 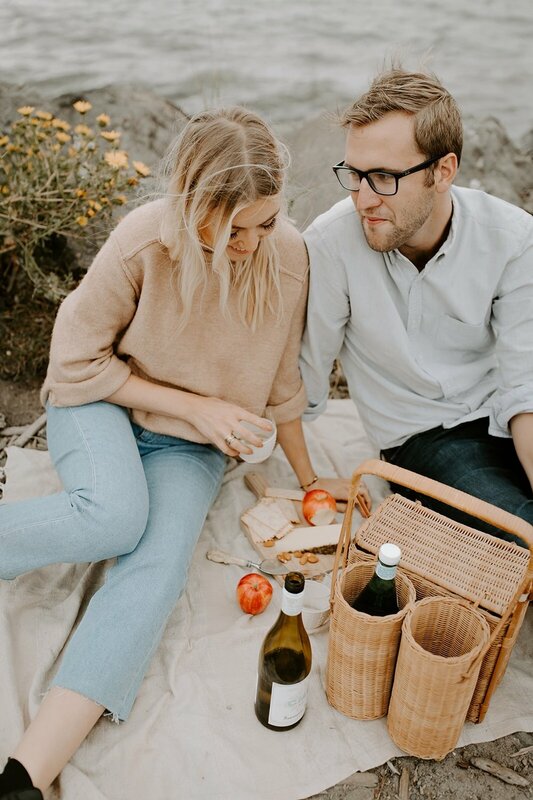 We headed to Discovery Park with sweaters in hand and a basket filled with cheese and wine. 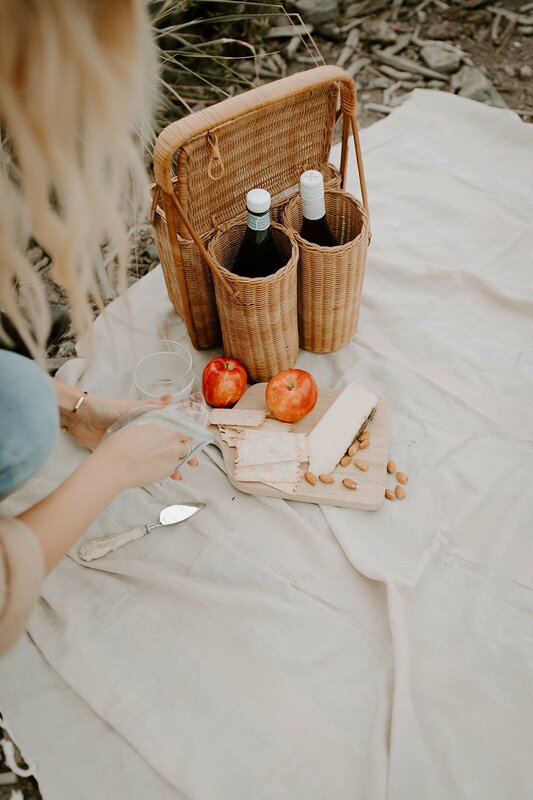 Last summer my mom found this gorgeous wicker vintage picnic basket (here’s a similar Etsy search) that I’ve been trying to use every chance I can! We threw a blanket on the sand and dug in! Scroll through to check out our romantic set up for the afternoon and be sure to connect with Nicole if you’re in need of any couples shots!